The confederate flag flap has given The Daily Show and The Nightly Show with Larry Wilmore a week’s worth of WTF gold. At the risk of wading in way over my head I wrap myself into the controversy. I’m actually drawn into it with Scott Thompson on this week’s weekly AM900 CHML radio chat. Scott credits Jon Stewart for waking up the media to what could have been nine more gun deaths dismissed as just another bad week in America. Scott wonders if the follow-up flag issue isn’t just a big blue, white and red herring to divert attention away from the real problem: guns in America. As black and white as these issues appear, they seldom are. A colleague who lives in the South posted his frustrations at how this flag, a symbol deeply offensive to many Americans, represents something else entirely to him. 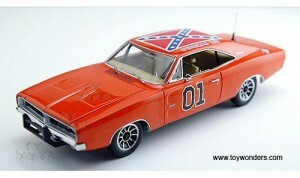 He wonders why he has to toss his General Lee Dukes of Hazard Dodge Charger hardtop out with the bath water. Now, there is no parallel to this touchy, complex issue for Canadians. I cherish and grew up with SCTV, but it was a product of the late-’70s/early ’80s. I’m sure I’d wince today at a few non-PC moments. You’d also expect that cast to be more diverse today then, well, Pirinni Scleroso. French Canadians or Aboriginals might have a different take on hurtful symbols from English Canada’s TV past. Feel free to weigh in below in the comments. You can listen in here to the full AM900 CHML radio chat. Here you can listen to Monday’s SiriusXM Channel 167 “Canada Talks” gab with Arlene Bynon. The talk here is less touchy. It’s mostly about two new CBC summer comedies that premiered this week: Fool Canada, with Will Sasso, and Still Standing, with Murdoch Mysteries‘ constable Jonny Harris.